The month of June is designated as the official Candy Month. 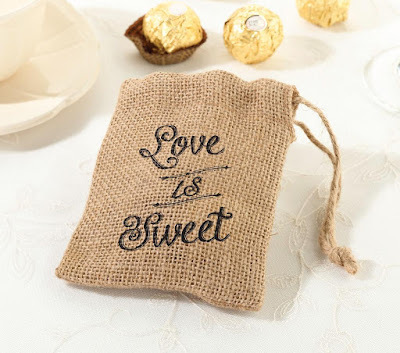 We are not sure exactly why, but here at WhereBridesGo.com, we love any excuse to talk about sweet treats! There are lots of delicious candies out there, and they make the best wedding favors that every guest will love to take home. 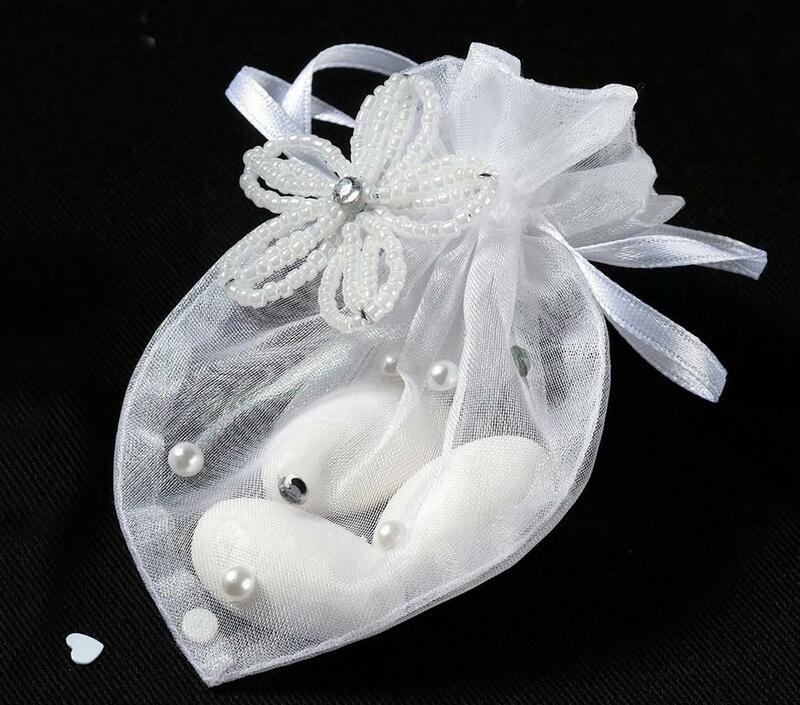 Jordan almonds are given out at many weddings. While these may not be most people's first choice for a favorite candy, this particular favor has a deeper meaning in many cultures. The first is the fact that fresh almonds tend to have a slightly bitter flavor. Adding the candy coating makes them bittersweet, reminding us how life contains both - bitter & sweet moments. Greek wedding guests are given sugar-coated almonds called "koufeta." These are always given in odd numbers. The reasoning is that odd numbers are indivisible, just like the bond between the bride and groom should be. Tradition also says that if an unmarried woman puts the almonds from the wedding under her pillow, she will dream of her future husband. Today many weddings feature a candy buffet at the reception. A big table on one side of the room is filled with colorful jars of a wide variety of different candies. 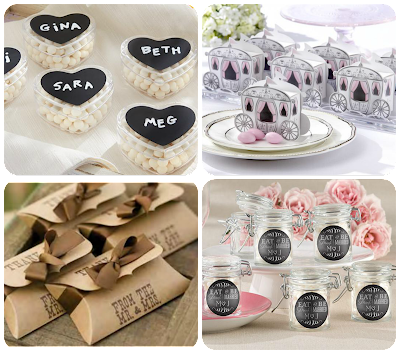 Guests are encouraged to nibble on these during the reception and fill an adorable container (bag, box, jar, sack,etc....) to take home with them before they leave. There are a few different directions that you can take to "theme" your candy buffet. 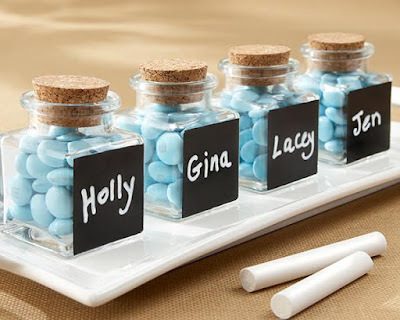 Fill each jar with treats in different shades of the same color or complimentary colors, or you can choose to pick out sweets to represent every color of the rainbow. If you are throwing a vintage wedding, gather a variety of "retro" candies from the era that you are representing. Another idea is to fill a table with candies that are native to the area in which you are getting married. 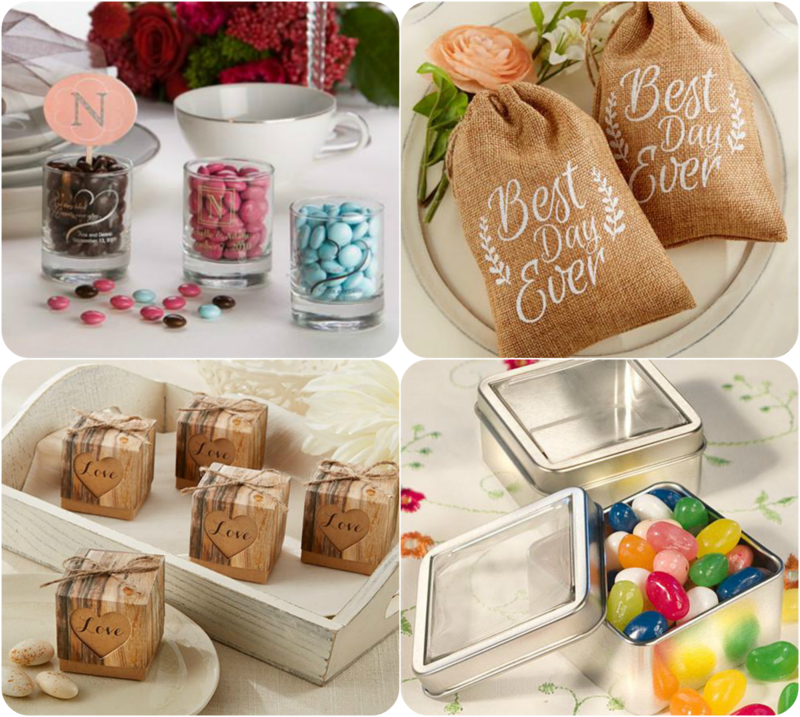 The most fun part about giving away candy at your wedding is all of the taste-testing you get to do while you are wedding planning! Once you have decided on what you will use, visit WhereBridesGo.com to find the perfect containers to wow your wedding guests with. It is a wonderful way to personalize your special day.